Salamander is an Intelligent Accountability company. Based out of Traverse City, MI, we have been helping first responders and emergency managers when it matters for over 15 years. 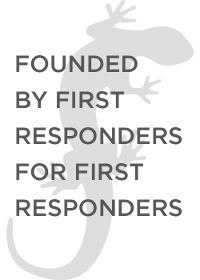 At Salamander, we are saving the lives of our first responders and the citizens they protect by offering a superior auto ID system that accounts for all personnel, verifies responder identities, and enhances situational awareness at an incident, emergency, or field event. Our contributions to homeland security will accelerate as our Intelligent Accountability solutions fulfill the national imperative for a unified system to identify and track all participants of large-scale incidents - responders, victims, and volunteers. Create a simple, scalable, and survivable system for interagency personnel accountability - from the tag to the web - that complies with federal mandates for the National Incident Management System (NIMS) and Personal Identity Verification (PIV).